Hill Steels Ltd 2018 Coil Carrier! 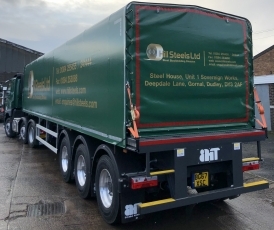 Hill Steels Ltd collect the 1st trailer of 2018! Fitted with alloy wheels and side guards. 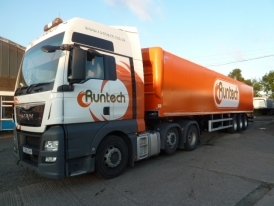 Looking very well with their brand new unit attached to the sliderflex triaxle trailer. The Armitt group of companies commenced trading in 1950 when Frank Armitt & Son Limited was formed. A company we have had the pleasure of dealing with from the early days. This new 2017 Coil Carrier has been rebranded from their normal Yellow & Blue, But it certainly makes a statement! Demountable Slidaflex Kit for Recovery Truck. 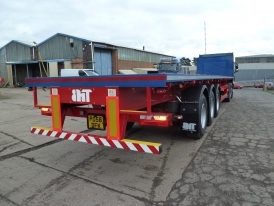 Hingley Trailer's has supplied and fitted a demountable slidaflex body kit to the Recovery for their Slide bed vehicle. 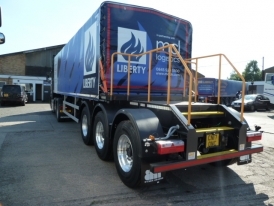 NEW Lightweight Coil Carrier Trailer supplied to MCL Logistics Ltd. 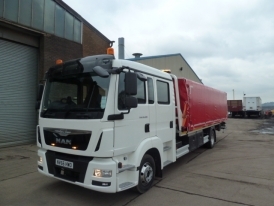 The trailer which has a very high spec, includes Alloy Wheels and aluminium side guards. There is a rear stair case onto the back of the trailer. Black Country Transport Company J J Field & Co Ltd have collected there New 45 Ft Flat Coil Carrier fitted with side sockets and posts. The SAF Drum axles come with a 5 year warrantee. The braking kit is Knorr Bremse and the landing legs are josts with compensating feet. The coil well comes with well boards to complete the flat floor and sockets and posts in the well to create a false headboard. It has truly been a pleasure custom building and handing over delivery of so far 4 coil sliderflex trailers. 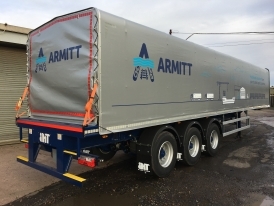 These 45ft trailers fitted with ally side guards and a coil A frame inside the trailer. We look forward to working with this company in the future!